"Write as if you are solving the perfect crime, or committing one." As someone who is perhaps a bit too prolific and eclectic in writing, although I have tons to say about writing, I think talking about process is one of those things best done in private. Let the writers just write and refrain from talking about writing. Photo by Lotte Huxley. Author Reception, 2012. 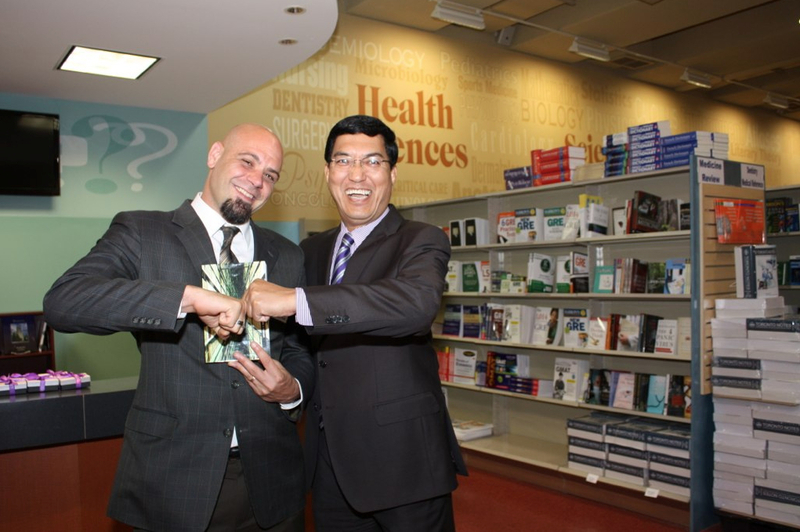 Thanks to Amit Chakma, President of Western University, for being such a great sport in doing the fist bump! Poking fun at the obligatory "back cover author glam shot."